Brassinosteroids (BRs), a class of steroidal hormones, play diverse roles in plant growth, development, signaling and defense against various biotic and abiotic stresses. It is broad spectrum key regulator in plants that participates in various molecular processes. Exogenous application of BRs vanish various constrains in the path of agricultural development. 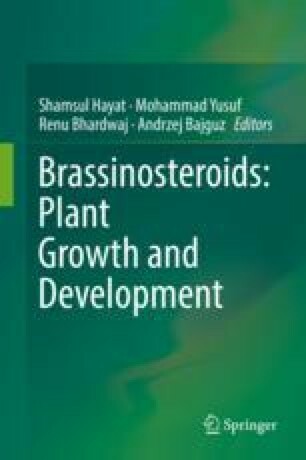 The present book chapter highlights the interaction and crosstalk of brassinosteroids with other phytohormones such as auxins, gibberellins, jasmonic acid, abscisic acid, salicylic acid, polyamines, ethylene and strigolactones in regulation of various physiological and developmental processes in plants. Various pathways reveal the versatile role of brassinosteroids in various hormonal interactions.